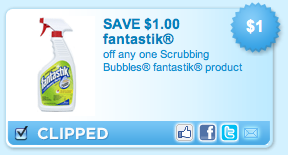 = 97¢ Bottle of Fantastik! What a Fantastik Deal... Sorry couldn't resist!